Art or Farce? 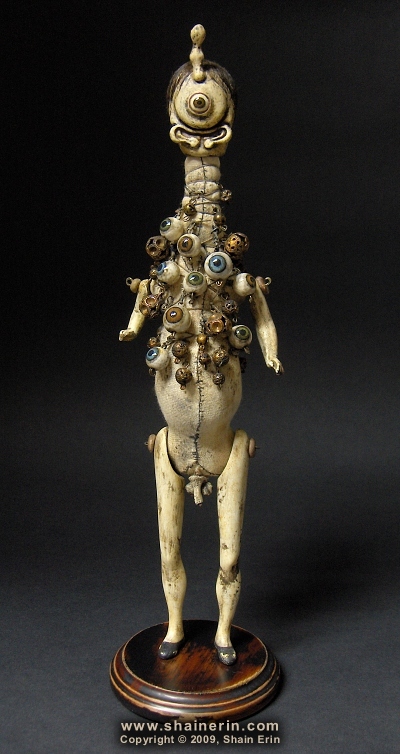 » Blog Archive » Shain Erin – Delicate Dolls - Is it art? Is it crap? You decide. Lots of people love dolls. Children and adults alike are transfixed by the bundles of ceramic and fabric that have brought joy and comfort to so many. It’s easy to see that these objects can often be more than just an item of affection, but also an extension of the owner’s personality and self-view. 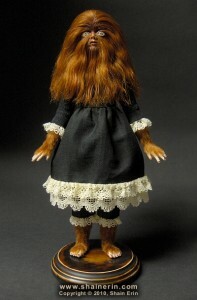 Commercial dolls, however, can sometimes be too aesthetically pleasing. No one is without at least a blemish or scar of some sort. And not everyone fits into the classical view of beautiful, pretty, or even normal. 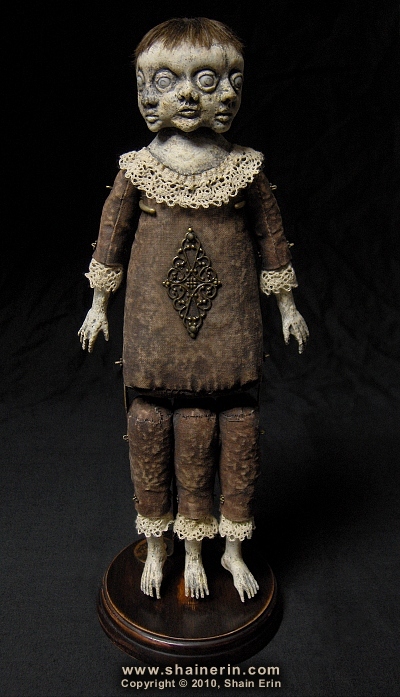 Shain Erin has created a unique collection of non-traditoinal art/fashion doll sculptures that many describe as creepy or disturbing. 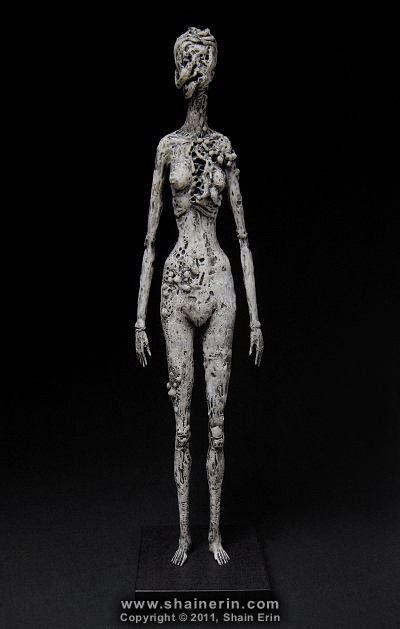 His mixed media creations explore the ability of the doll to emulate living entities more so than a painting or drawing, and still remain an object fashioned out of inanimate parts. 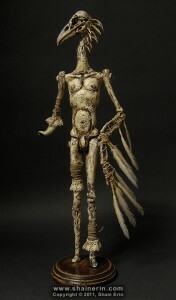 Shain refers to his pieces as “morbid fine art” and “monsters” that often resemble a collection of medical oddities, though only Babette (following) seems to be loosely based on a real medical condition, hypertrichosis, famously belonging to Kung Fu grandmaster Su Kong T’ai Djin and sideshow performer Stephan Bibrowski. Not all of the dolls resemble living creatures, though Shain will argue the dolls are likely more a representation of the soul more than a body. 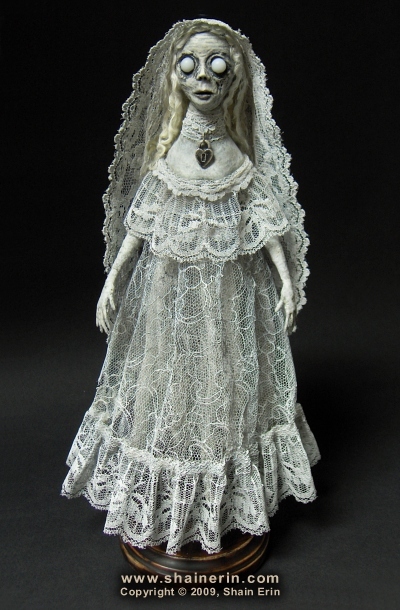 Edgar Allan Poe’s last poem, “Annabel Lee” is the inspiration behind Shain’s doll of the same name. 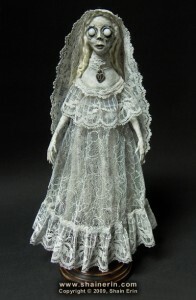 The distinguishable bright eyes of the poem’s fallen maiden are haunting on the doll’s visage, and her gaunt appearance and pale skin beg the viewer to wonder if the form is a spectre or a corpse found in the sepulchre. 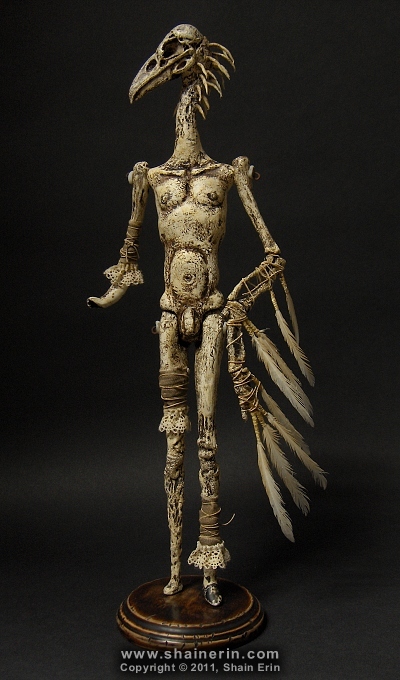 Many of Shain’s sculptures, dolls, and poppets now belong in private collections as the artist, through the use of several online outlets, has made his art easily accessible to those who appreciate it. Creepy or captivating? Tell us what you think below. Photos courtesy of the artist’s website. This entry was posted on Friday, September 2nd, 2011 at 10:16 AM	and is filed under Mixed Media, Sculpture. You can follow any responses to this entry through the RSS 2.0 feed. You can leave a response, or trackback from your own site. It was hard for me to find your page in google.